To keep yourself protected from danger until you are ready to strike, you need a knife that will blend in with your surroundings. 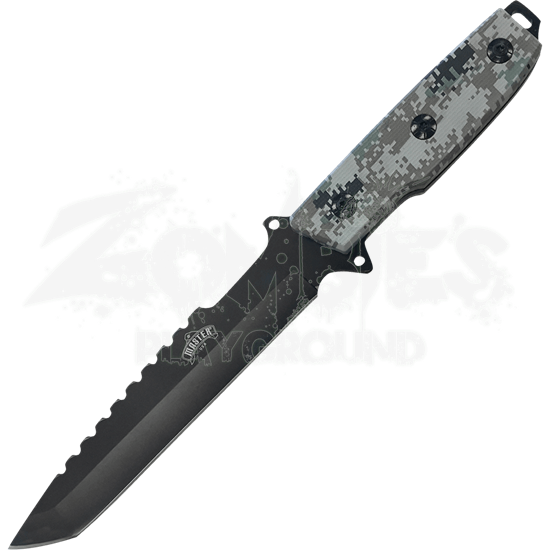 The Camo Tanto Blade Combat Knife is the ideal weapon for defense, in jungles both urban and organic. Crafted from one solid piece of stainless steel, this tanto blade knife provides you with control and precision as you fend off the enemy. 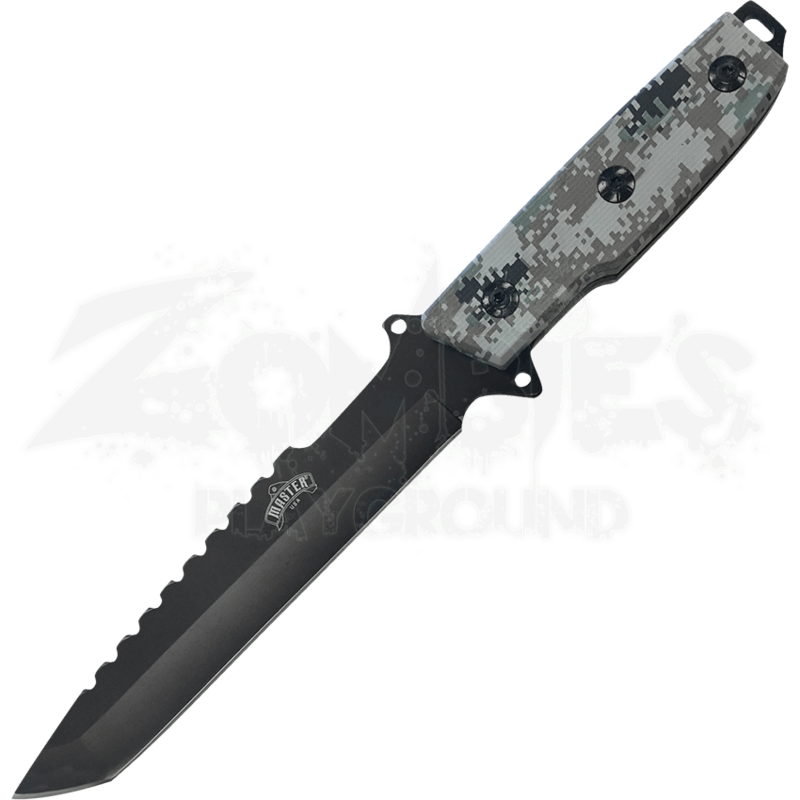 The black finish on the blade, combined with the digital camo print on the handle, reduces glare and allows your weapon to remain hidden until you are ready for it to be seen. Several teeth on the back of this blade give you the leg up on your competition. When you pull the Camo Tanto Blade Combat Knife out of its protective nylon sheath, you will undoubtedly command respect and fear from anyone who dares to challenge you.